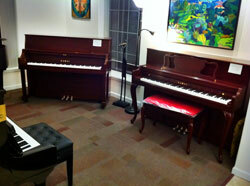 Fairbanks Piano Center is an authorized dealer for Kawai Acoustic Pianos and Kawai Digital Pianos. 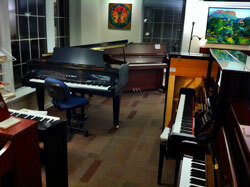 We have a good assortment of new Kawai pianos, both vertical and grands, in our Fairbanks showroom. 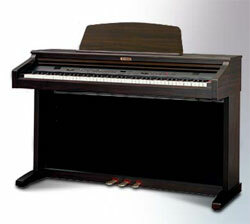 Although we have sold other makes of pianos in the past, we now pretty much stock only Kawai instruments because of their quality and their great history with owners right here in Alaska. From its humble beginnings in 1927, Kawai has evolved into a multi-national corporation with nearly $1 billion annually in worldwide sales… employing over 4000 people across four continents. 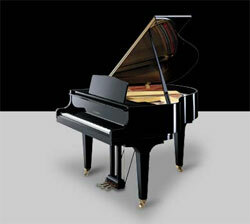 In 1997, Kawai became the first in the piano industry to receive ISO 14001, the world’s foremost certification for excellence in environmental management. ISO 14001 recognized exceptional achievement in reforestation, energy conservation, waste reduction and natural resource preservation. 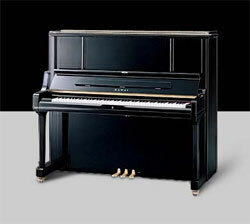 This unceasing pursuit of environmental excellence is an integral part of Kawai’s commitment to the future. It is this continuing vision for the future, and a diversity of fine products distributed to more than 80 countries around the globe, that has earned Kawai its place among the world’s preeminent musical instrument companies.